I tend to drop by CVS frequently because they have a location close to my house. There are CVS stores all over the place in Raleigh, however, so I visit other CVS stores here and there. The one with the Minute Clinic is a little further away, but still a fairly convenient distance. 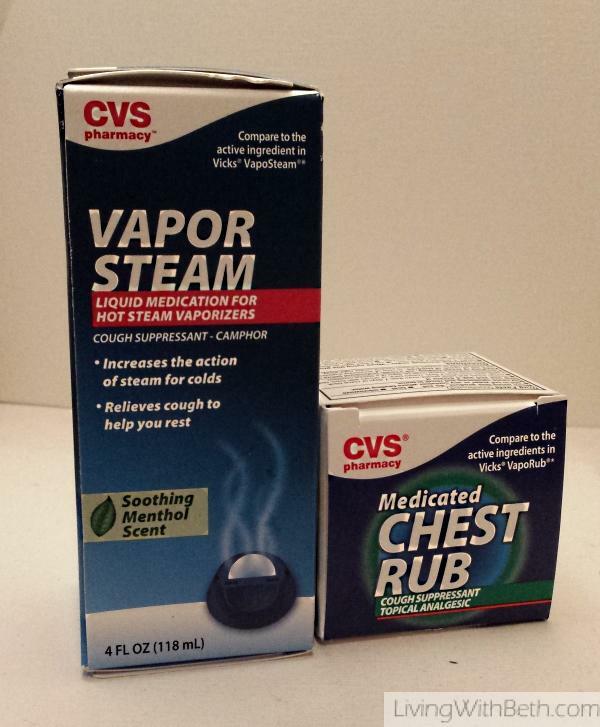 While there may be some differences among CVS store locations, they seem to have most of these things in common. Most CVS stores in my area have a cashier at the front register who says hello when I enter the store and offers to help me find anything I need. This is a great way for a store to let customers know that their business is appreciated. I’ve exchanged greetings with the same guy so many times that I feel like we should be on a first name basis. 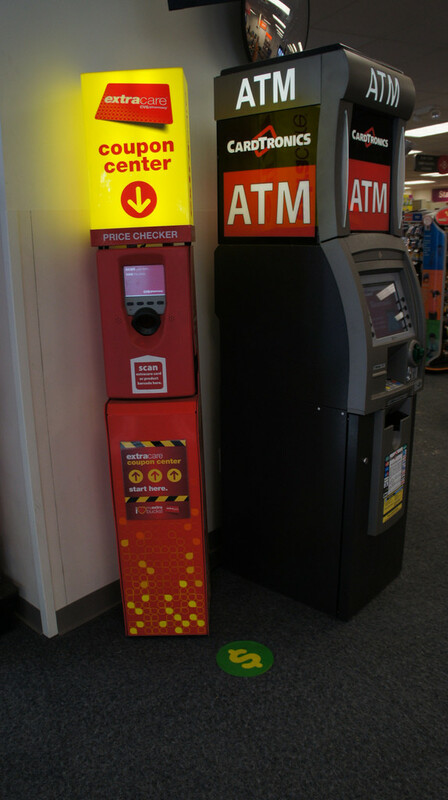 The machine that scans your CVS card and prints coupons seems like a great idea, except that it ends up serving as little more than a gigantic waste of paper. More than 90 percent of the coupons end up in the trash. The service would be much more useful if it printed fewer coupons overall with an emphasis on higher value coupons that equate to stuff I’ll actually buy. I mean, they have my entire CVS purchase history courtesy of my CVS card. Can’t they figure out what I might be encouraged to purchase if I had a coupon for it? Drive through prescription pickup is one of the best retail inventions in the past decade or so. Most major drug store chain locations have pickup windows now. The pickup window at my nearest CVS moves along pretty quickly, even if there’s a lineup of cars. While the drive through pickup line moves along at a pretty good clip, the inside counter is another story. Dropping off a paper prescription can take forever while one employee handles the lineup of people, often having to make phone calls to insurance companies or doctors’ offices or whatever, wait on hold, and so forth, while other people wait and wait and wait in line. Picking up a script often takes awhile, too, since there’s only one person at checkout and frequently a lot of people wanting to pick up their prescriptions. I used to get prescriptions at a different CVS, which is located beside my old office building. The main pharmacist there is absolutely awesome. She knew who I was and would grab my prescription without my having to identify myself. That pharmacy is always lined up, too, especially at peak times like during lunchtime hours. However, there really isn’t an alternative at that CVS because of space constraints. The store is too small to have more than one pharmacy register, and drop-off and pick-off have to happen at the same spot. Most CVS stores have plenty of space and two or three registers in addition to two or three drop-off areas. I don’t think I’ve ever seen both drop-off booths occupied and rarely see more than one register going, even during busy evening and weekend hours when there might be five or more people in line. 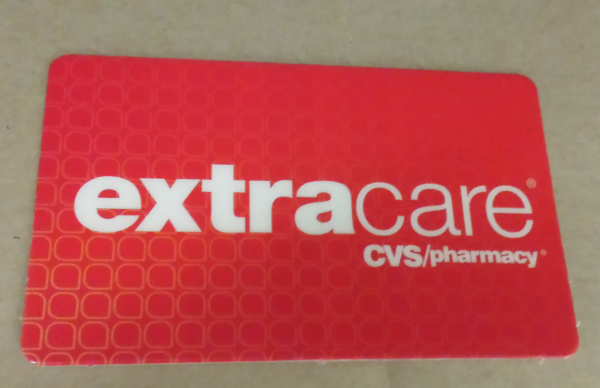 Combining coupons and sales plus Extra Care Bucks (ECBs) at CVS can net some fantastic savings and free or almost free products every week. Partly as a result of CVS’s generous sales and rewards program, I am always well stocked with free or very cheap shampoo, toothbrushes and toothpaste. They also frequently offer some great prices on food and beverage products such as Progresso or Campbell’s soup, breakfast cereal and soda. One evening when I went to CVS to pick up a prescription and a few other things, my husband asked me to grab him a pint of Ben & Jerry’s ice cream. I bought him the ice cream, but good grief, five bucks and change for a pint of ice cream? There’s no ice cream worth that much. I could get a big carton of Breyer’s ice cream at the grocery store for less than that. Also, CVS’s out of pocket prescription prices are usually much higher than somewhere like Walmart or Target. If you just pay an insurance copayment for prescriptions, then the insurance company has already negotiated a discounted price, so you don’t notice the difference between CVS and other stores. If you regularly pay full freight for prescriptions out of your own pocket, you may wish to look for ways to save on prescriptions. I refilled a prescription every single month for YEARS at the same CVS, and they almost always had to special order it for me. It’s not something unusual that few people take. You’d think that if they have a guaranteed customer for it every month, month after month, they’d go ahead and keep it in stock for me. Instead, they had to overnight it from where ever they stock it, and make me wait an extra day or two for my prescription. 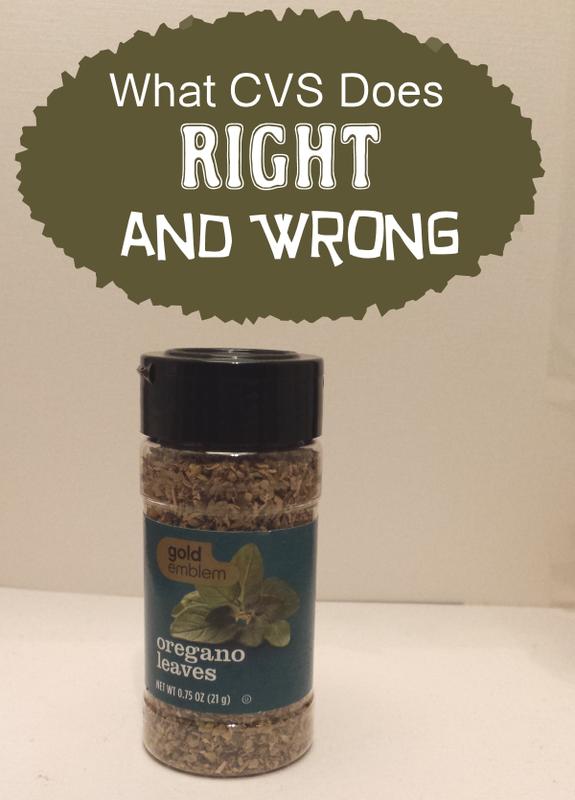 CVS has some fantastic store brand items, especially their spices, which often go on sale for less than a dollar each. I’ve tried a fair number of CVS brand merchandise, and most lived up to expectations, with the exception of batteries and paper products. Any CVS batteries I’ve tried – including their new blue variety – have performed poorly. CVS’s mobile app, tested on multiple Android devices, leaves much to be desired, even after a fairly long time in existence and multiple iterations. Trying to arrange a prescription refill requires logging in several times because it keeps booting me out. CVS’s standard website offers easy ordering of prescription refills, but its information is haphazardly organized and not up to date. I’ve had instances when it said I’d picked up a prescription when I had not, or that a prescription was ready when it was not. It also once listed a prescription under my younger daughter’s name, when it was written for and dispensed to my older child. The site offers the option to send me a text message when my prescription is ready, which I don’t want, but it can’t email me instead. It will email me to verify receipt of my refill request, though. I signed up for email prescription refill reminders, which I’ve never received. Most doctor’s offices send prescriptions electronically nowadays, except for certain prescriptions that require a written script. CVS seems to put almost all of these prescriptions on “auto-fill” if they have refills, meaning they process refills automatically. You might not realize this until you receive a robo-call saying that you have a prescription ready. When you run out of refills, they’ll even contact your doctor to request refills for you. Maybe you didn’t want to continue taking this medication. If that’s the case, getting yourself off auto-refill can be a challenge. You can’t do it on the CVS website. You have to ask a pharmacy staff member, who may or may not do it correctly. If you fill a prescription at CVS and you don’t want auto-fill, you’ll want to directly ask the pharmacy employee to remove you from auto-fill and then check the CVS website later to verify that it happened. Minute Clinic and its ilk are widely panned by doctors. Have you noticed, though, that since Minute Clinic, Target Clinic and other such clinics have started springing up, many doctors’ offices have begun offering evening and weekend hours? I love my kids’ pediatrician and wouldn’t want to switch, but their offices are 20 or 30 minutes away, depending on traffic. The Minute Clinic is about 10 minutes’ drive, and now there’s a Target Clinic that’s not even 5 miles from my house. Unfortunately, Minute Clinic does have its drawbacks. It can get very busy and lined up during certain times of day, especially during flu season. The medical practitioner (physician assistant or nurse practitioner) does everything – check-in, medical evaluation, payment and check-out. The waiting area is sparse with uncomfortable seating. Target Clinic has a much better layout and a separate employee handling administrative work, but unlike CVS, they have the space to spread out. Minute Clinic posts their prices online for those paying out of pocket, but they accept most major health insurance plans, too, with copayment equal to that you’d pay to see your regular primary care doctor. Minute Clinic offers a much better alternative than the emergency room for illnesses that aren’t truly emergencies, particularly for those who don’t have insurance or primary care doctors. Most people I know have insurance and primary care providers and still visit Minute Clinic on occasion for the convenience. 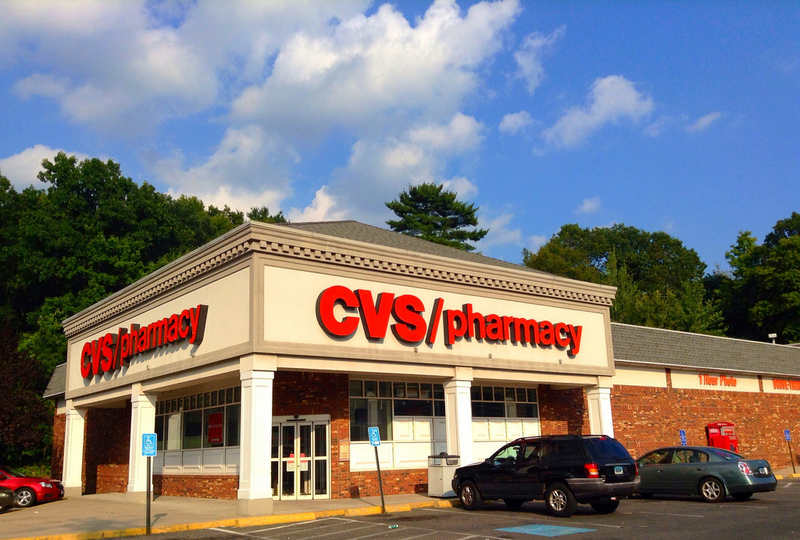 What has your experience been with CVS and other chain drug stores?